Tiltex System is a needle punched composite, consisting of concrete-sand mix, embedded and fixed between two layers of geo-textile and supported with additional layer of geomembrane. It is much faster and cheaper than conventional materials. Strict quality control of raw materials makes the finished product fail-proof. Or mixture has been developed as a result of numerous tests in order to ensure excellent and durable performance. 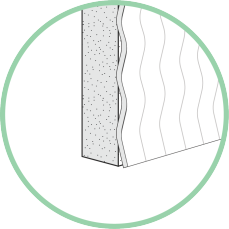 TILTEX, when hydrated, hardens after few hours but still remains fractionally flexible what makes the product unique. 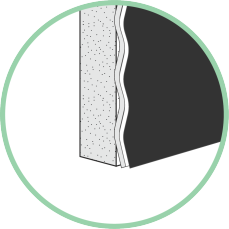 Thousands fibres embedded in concrete give TILTEX significant reinforcement – even when some cracks occur due to external factors, geotextile secures the integrity of the liner. 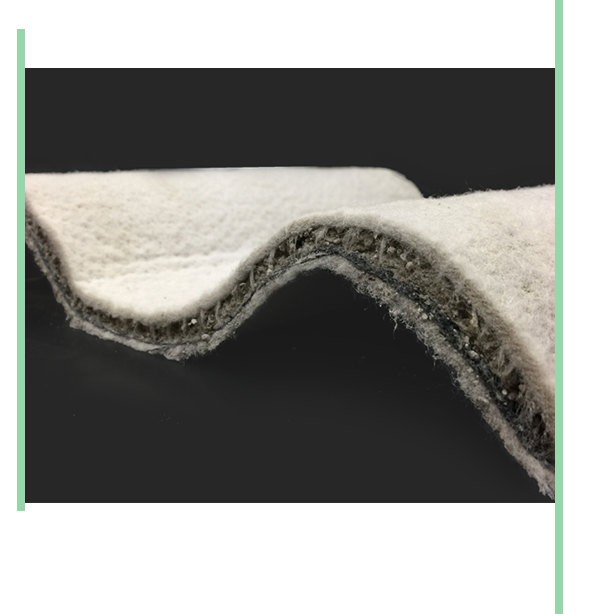 Needle-punching: long needles grab fibers from the upper nonwoven geotextile and pull the fibers through the cement and the lower nonwoven geotextile. 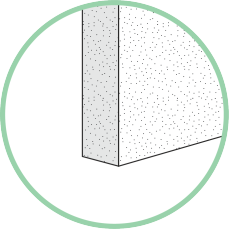 Thanks to mechanical bonding concrete is locked between geotextile layers so that there is no risk of its displacement.